A fan of fireworks? More shows are coming at the end of May and the beginning of June. 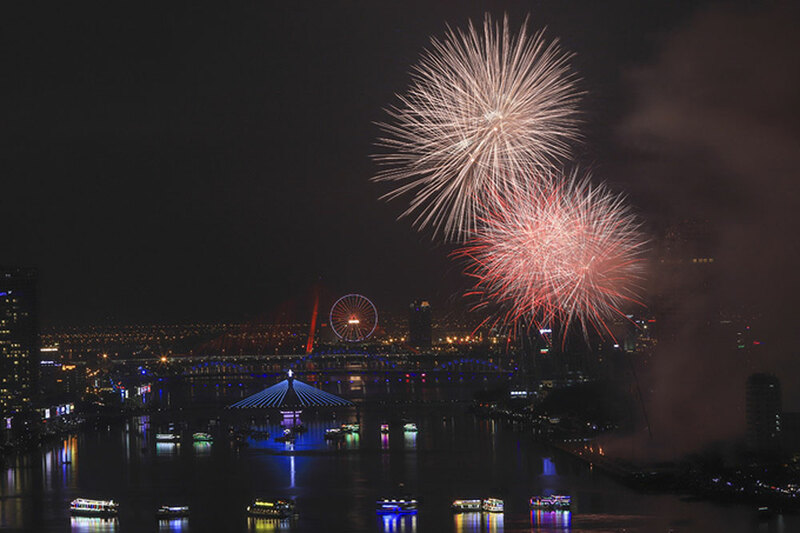 Magic was in the air above Da Nang’s Han River Bridge on Monday night as the Da Nang International Fireworks Festival 2018 officially began with the displays by the home team of Vietnam and Polish technicians. 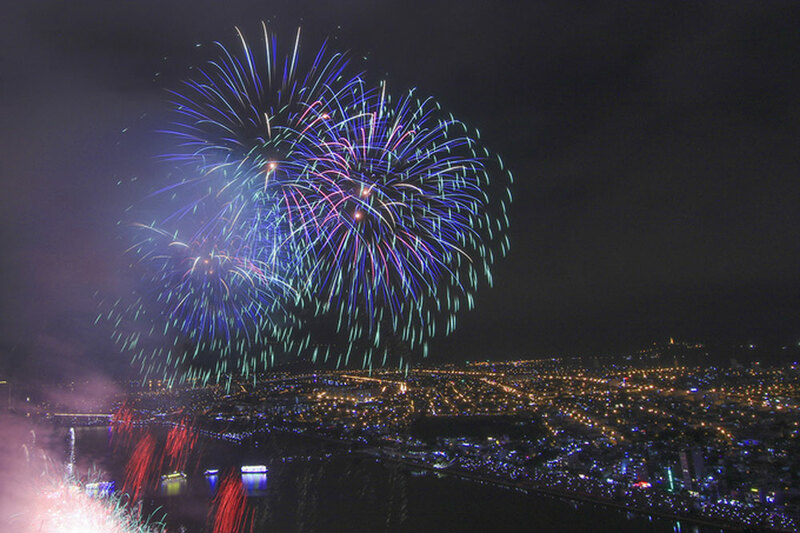 The Vietnamese pyrotechnics lighted up the night sky with 20-minute displays. 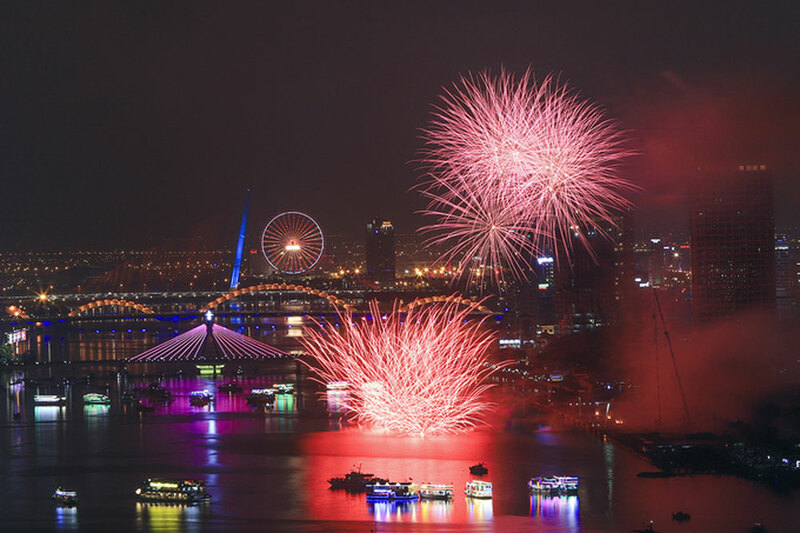 The opening shows of the Da Nang International Fireworks Festival 2018 coincides with Vietnam’s Reunification Day April 30, when the country marks the end of the Vietnam War. 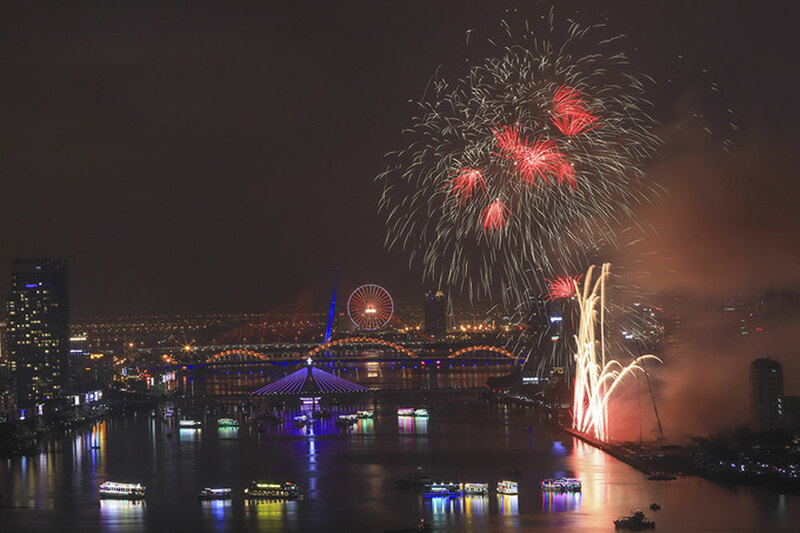 First held in 2008, the festival is the country’s biggest cultural event, scheduled to last until the end of June. 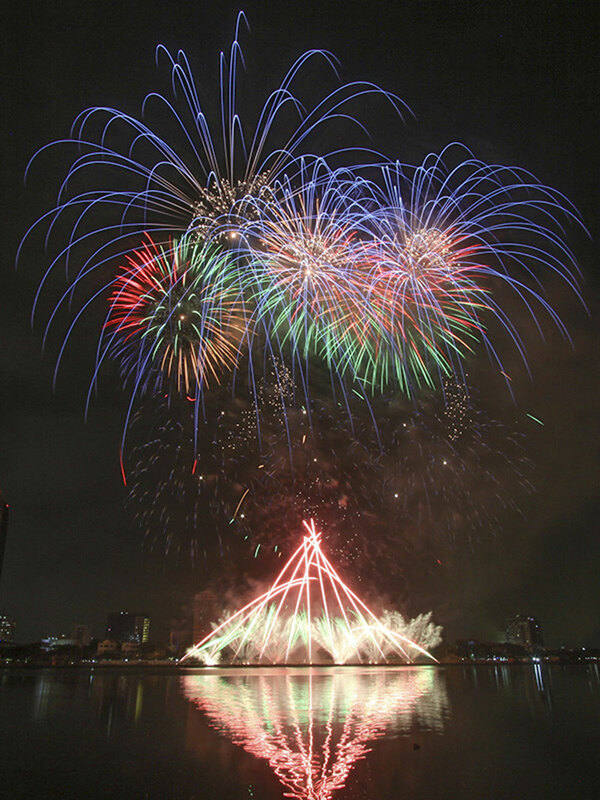 Artists from Poland impress the audience with magnificent high-altitude firework displays. 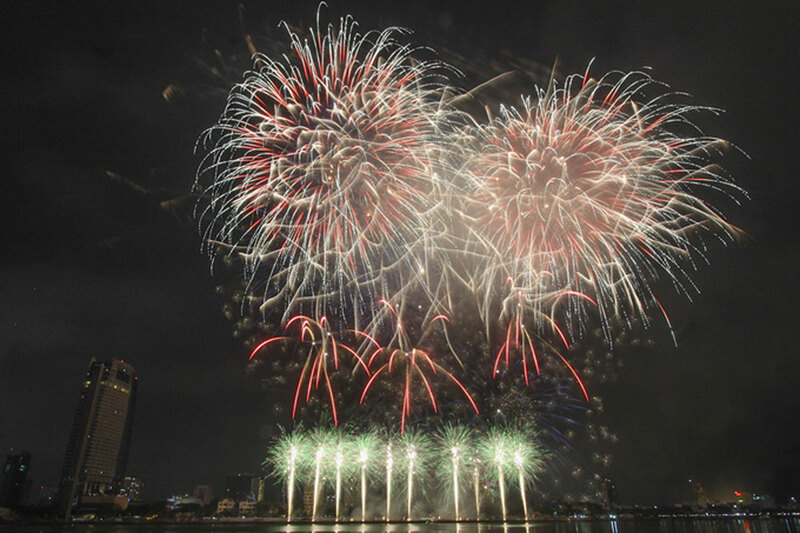 Another sparkling moment of the European team’s performance when both low and high-altitude fireworks went off right on the river surface and the sky above it. 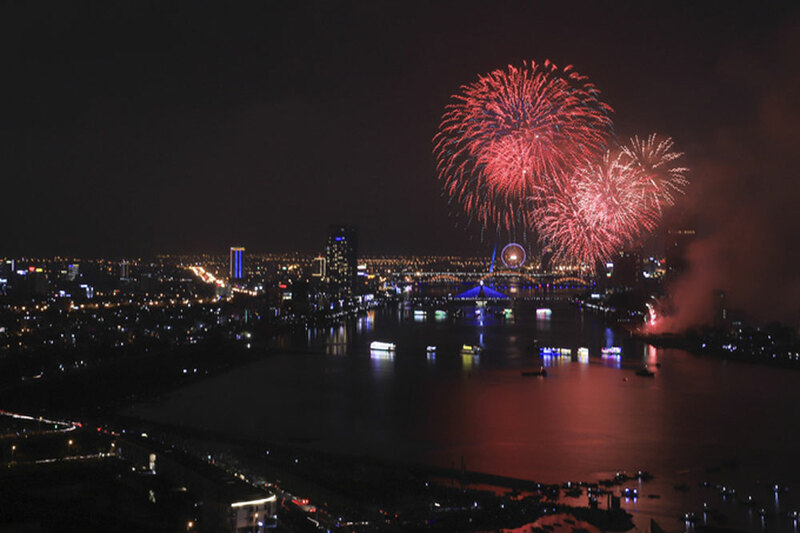 The Da Nang fireworks festival is held every year as one of Vietnam's biggest tourism events. 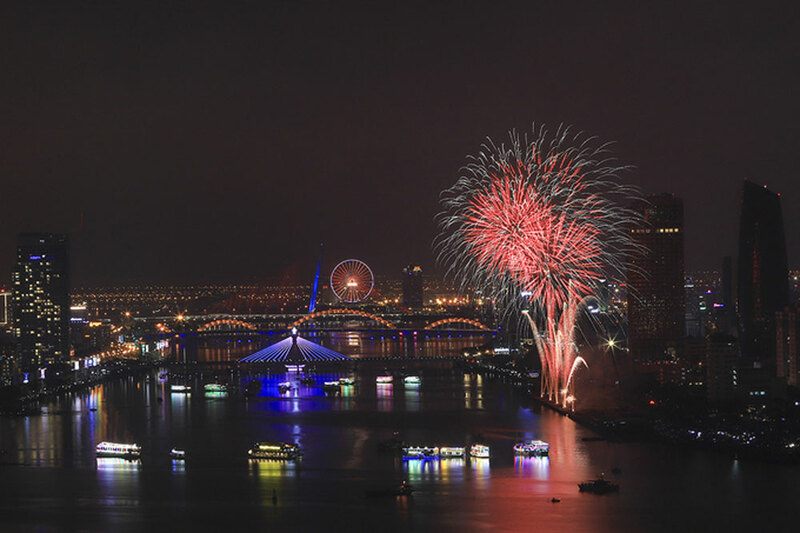 This year on five summer evenings, Han River Bridge is once again turned into a splendid backdrop for magnificent pyrotechnic displays. 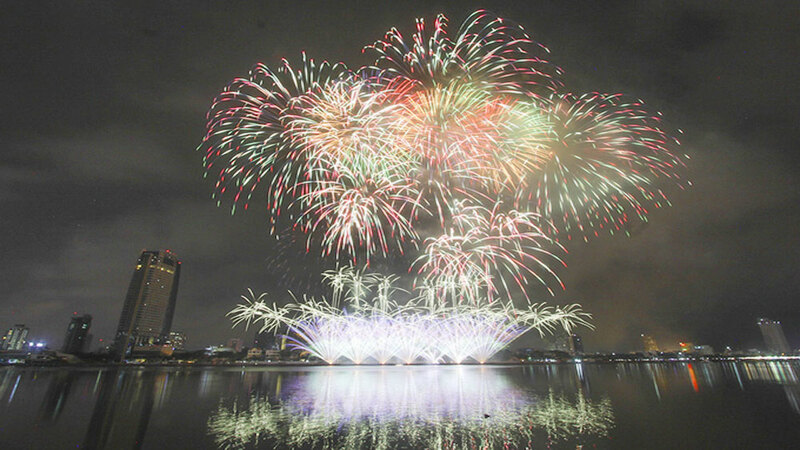 The next shows are slated for May 26, June 2 and June 9 and feature performances from France and the U.S., Italy and Hong Kong, and Sweden and Portugal, before the final round and closing ceremony on June 30. Street art shows and food events are also available.